I’ve always liked the analogy that writers have a toolbox. It validates that we engage in a craft where we can add new tools, fine-tune our favorites and pass on trade tips to other word-artisans. We’ve been discussing the storyboard as a versatile tool for creating structure. But before you can build your structure or revise your plans, first you need material. You need to write. You need scenes, chapters or pages. November is National Novel Writing Month (NaNoWriMo). While it is an event that encourages writers across the globe to write 50,000 words in 30 days, you can also think of it as a tool. NaNoWriMo is an ax; use it to chop down the raw material from which you will build your book. Think of your strategy as harvesting the timbers of your book in 30 days. For the rest of the year use the storyboard to construct and revise your book: map your hero’s journey or arrange your three act story; develop your characters; research any topics or scenarios that are beyond your common knowledge; identify gaps; edit; revise; proof and publish. For me, I like to have a strategy, a process to completion. But when I write, I need to press the pencil lead to the paper and just go. NaNoWriMo lets me be Paul Bunyan with the ax swinging mightily. The challenge doesn’t allow time for my inner editor or and second guessing. I’m just creating material–I can judge it later. 2012 was the first year that I participated in NaNoWriMo. I had a partial draft of “Miracle of Ducks.” Earlier that summer, I had taken a workshop with Mary Carroll Moore and learned how to develop a book through using a storyboard. I also learned that it worked best with material. Using NaNoWriMo as a tool to get more material, I added 50,000 more words to my novel project in a single month. It had taken me years to write half that much! The following November I was jazzed to use NaNoWriMo as a tool to develop another project. Even though I was still working on the final draft of the first project, I decided that it would be wise to generate new material once a year. Publishing a book takes so long that I don’t want to have to start all over; I want to have projects ongoing. That’s another strategy we’ll discuss later. So, in 2013 I cranked out an opening scene based on a short story and an idea. But I had no outline, no plan, no scenes beyond the one short. Each day I came to the page not knowing what I’d write, yet miraculously, around 900 words I’d hit my pace and dialog, action, characters would flow. The material is raw but it’ll be a fine structure to build. Don’t let the word “novel” deter you if you are a memoirist. It’s about writing 50,000 words. When I wrote my first novel project I had no idea what genre it would be–I just wrote it. Then the following year, I had my second novel reviewed (a NaNoWriMo “prize”) and it came back listed as science fiction. That was a surprise! The point is, it doesn’t matter what you write, but that you complete 50,000 words in 30 day. Have a memoir in you? Then alter the title a bit and use MeNoWriMo as your ax to slay material for your book. Next week we’ll look at the end result of NanoWrimo–your book-project. 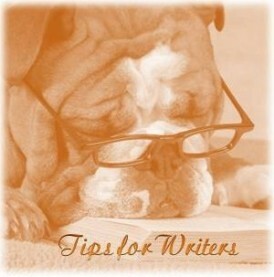 By Charli Mills in Tips for Writers on July 15, 2014 . I did Nano last year for the first time, not at all sure what would happen and I now have a rough hewn YA book as a result. So I’m with you, Charli on the joys of just letting the pen (pencil or keyboard) flow. Would you do NaNo again to produce another work? Sure; my (still to be published) novel Dead Flies demands a sequel and I think Nano is the perfect place to kick it off. I’m not physically strong enough to wield an axe for very long and have similar feelings about Nano. I do see the value in ” just writing” intensively for a short period of time but that pace is way too fast for my liking. Fantastic inspiration Charli. I do love the idea of a worldwide group all battling away at the same time in the same way. Delightful to hear how well it works. I’m tempted to give it a go – it makes a nice deadline to get the current project into editing beforehand, so I can start my ‘fictional’ exploration of some other stuff! I’d suggest trying it once. Last year it clashed a bit with Thanksgiving! I’d fix food, write fix food, write! But all were on hand as I completed the last word. Thanks for your encouraging comment! It helps me solidify what I did by sharing the processes that seemed to work. I know someone who finished her first draft of her memoir with NaNoWriMo. We’ll have to check in around early October to see what we’re all planning or where we are at with projects.